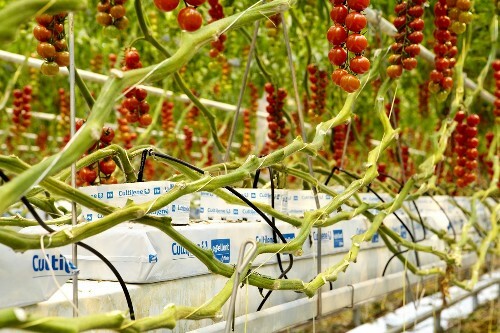 Gellert Nurseries core business is the propagation of vegetable crops for the commercial greenhouse industry. Our customer base reaches from Kerikeri in the North to Christchurch in the South. This business is totally reliant on crops grown to order. Since the creation of Gellert Nurseries Ltd, we have worked towards supplying approximately 70% of the total market. In 2011 the nursery underwent a 1 hectare expansion. The nursery now has 35 growing compartments with two gas boilers and three separate irrigation units running the property. “The nursery has state-of-the-art concrete ebb and flow growing systems installed by a Dutch company. We have a fully computerized greenhouse for environmental and irrigation control supplied by Priva computer systems installed by Richard Hectors. The Nursery has a fully lined water storage pond with water going through UV treatment before fertilizer being added then water collected after irrigation is also treated by the UV system before being returned into storage tanks. We use a mix of fresh and recycled water when irrigating so there is no waste we use every drop but it will only be reused after full UV treatment. It is not practical to dump the water nor is it ethical. So by recycling we are also making sure there is also no leaching into the environment. While all the above mentioned are important, of equal importance are our people. Much of what we do requires specialist staff that can focus on each stage of the plant development. This team of staff is headed by Stephen Hadley who has been with Gellert Nurseries since 2001. With Stephen’s drive to produce a plant that will give the customer more value and a greater opportunity to increase production and ultimately better returns, the advent of plants flowering at delivery has been his main focus over the past two years. This is the process where tomato plants are grown in the nursery to a height of approximately 60cm and attached to stakes and capsicums 45cm also attached to stakes. The plants are flowering at this stage which means the nursery is influencing up to and including the fourth truss on tomatoes, and second set in capsicums. 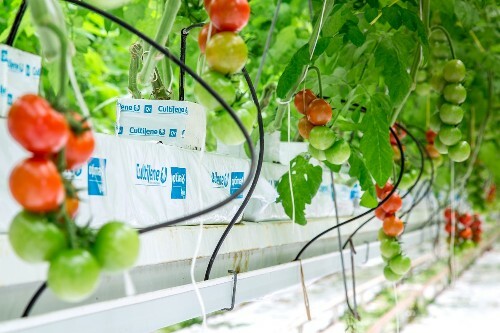 This has several benefits to customers; firstly reducing downtime between crops as the plants are in production quicker due to less shock at transplanting and secondly and most important the plant is more in balance. 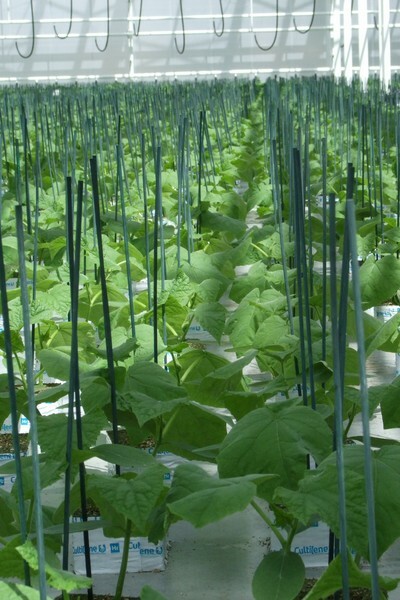 We also grow 60cm staked cucumber plants in a 100x150x65 propagation block with one plant per block for two growers who have reduced their downtime by up to 10-12 days in the winter and 7-8 days in the summer. We have proven that by growing a larger plant and having more root volume at delivery that the plants are stronger and handle the transplant shock much better. The nursery has been grafting tomato plants since 2005 and recently began specialty grafting of watermelons. This has proven to be more difficult and although it is steadily improving, it is still in its infancy in NZ. To date this development in watermelon grafting has been greatly supported by Peter and Kim Kleven of Waikato. It is our intention to continue this development with the support of the watermelon growers throughout NZ, with this year’s main focus being to deliver a more compact and hardier plant that can cope better with the harsh early spring weather. The Nursery is the most up to date modern structure, the innovation and technology that owner Steve Gellert has invested into this company is second to none. With annual trips to Europe to keep afoot with new growing techniques and IT the nursery will continue to grow and become even more efficient, but this can only happen with the support of the growers in return the growers who use Gellert Nurseries continue to receive a product which has the highest production potential possible. And with back up support and advice growers also have the ability to have that support throughout the crop cycle. “We need growers to grow good productive crops which make money, it is as simple as that, if they do not make money we do not have a business, that’s why it so important to back our growers up because if they are successful then we are successful. The growers who are successful are the ones who we work with closely so we know this back up service works. 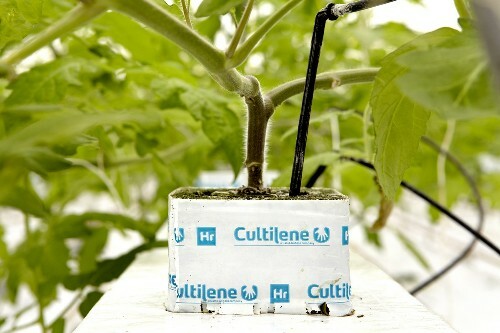 Gellerts is also the sole agent in New Zealand of Cultilene propagation blocks and Grow slabs. Cultilene is also an innovative company with very similar philosophy as Gellerts and that is why the companies have joined forces. 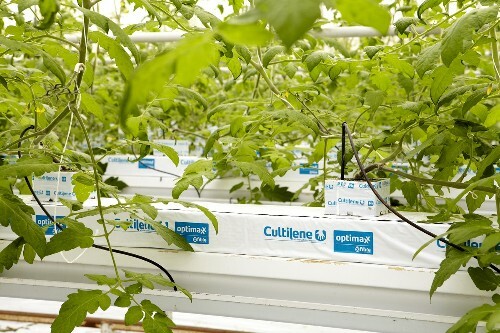 Rock-wool is a great propagation material and the grow slabs are just as good, price used to be an issue but Cultilene have shaken the market up and are now extremely competitive with other products. Also the backup service and the correspondence with growers will make this a long term and extremely viable option for growers. Why drive a mini when you could be in a V8! !